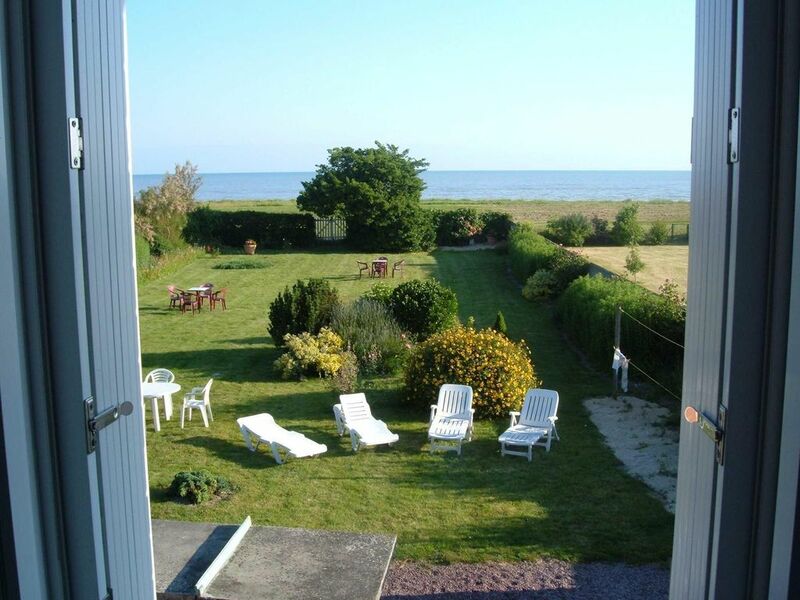 spacious house with fenced flower garden of 1000 m2, direct access to the sea, ideal for family holidays, also friends. Large living room with TV, 5 bedrooms, 2 bathrooms, 2 toilets, kitchen, oven, microwave, dishwasher, washing machine, dryer, Wifi. Outside, garden furniture, barbecue, table Ping-pong. Rental per week, fortnight, month. As a measure of hygiene Our friends animals are not allowed. The rental must be made as clean as you arrived, otherwise a cleaning fee of 80 € will be requested. 1 bathroom with shower. 1 bathroom with bathtub. Cherrueix (35) house with flower garden overlooking the bay.